A mere 850,000 BlackBerry-branded phones were shipped in all of 2017, according to estimates. Further marking the decline of the company's brand, BlackBerry World —which hosts apps for the BB10 operating system —will soon lose any remaining paid titles. 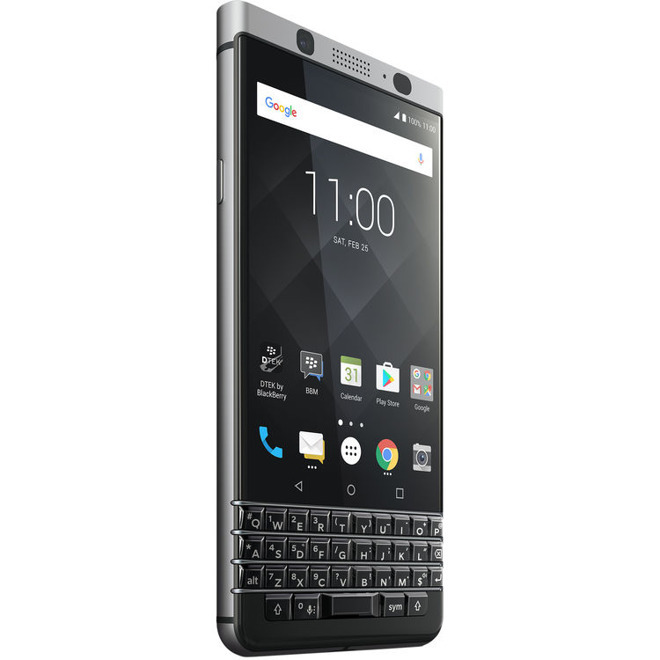 The shipment estimates include all BlackBerry devices, not just the recent KeyOne flagship, The Verge said citing data from IDC's Francisco Jeronimo. By comparison, Apple sold 77.3 million iPhones in the December quarter alone. BlackBerry did beat out Essential's 88,000 phones, but the latter company didn't exist for much of 2017. Phone maker TCL bought the rights to sell BlackBerry-branded phones in 2016, meaning that BlackBerry itself has had increasingly less to do with hardware, focusing instead on software and services. Modern BlackBerries run Android, in recognition of the current platform duopoly. BlackBerry will remove any paid apps from BlackBerry World on March 31, the company said in an email to developers. All purchasing mechanisms will be turned off, and refunds will only be supported until April 30. Free apps will be allowed to persist, but only until BlackBerry World's complete shutdown on Dec. 31, 2019. Android-based BlackBerry devices have access to the Google Play Store. 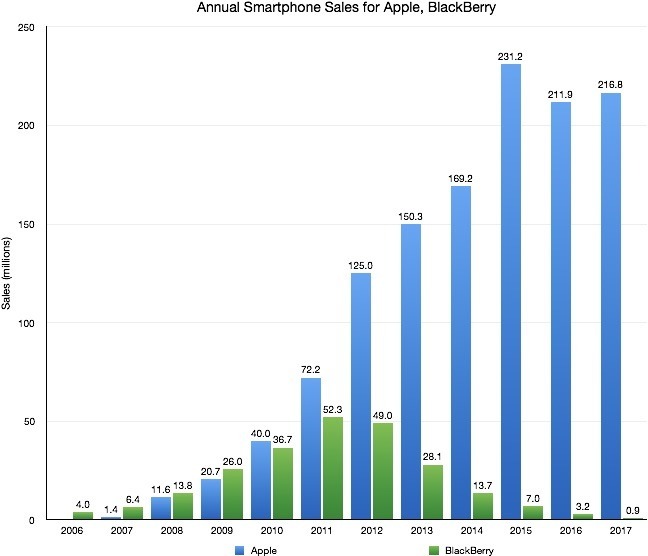 Once synonymous with smartphones —even earning the nickname "Crackberry" —BlackBerry was slow to respond to the advent of the iPhone in 2007 and other touchscreen devices. When it did respond, its products weren't well-received, and the company has since slid into irrelevancy in hardware sales.